One of the many questions I’m asked seemingly at least once a week is, “what defense gives you the most trouble?” Here are some thoughts on practice scenarios and game planning. A few defenses that coaches shudder to see are either the 3-3 defense or 5-3 defense, especially 5-3 double eagle defenses. We didn’t see double eagle this year until week six, then only saw it once more in week nine. We saw a variation of 3-3 once in week eight. So why do people run odd front defenses or double eagle defenses? The most likely answer you are to receive is because they have a very good nose tackle, and many conventional offenses put their weakest offensive linemen at center. That should never be the case if you are running the Flexbone the correct way. 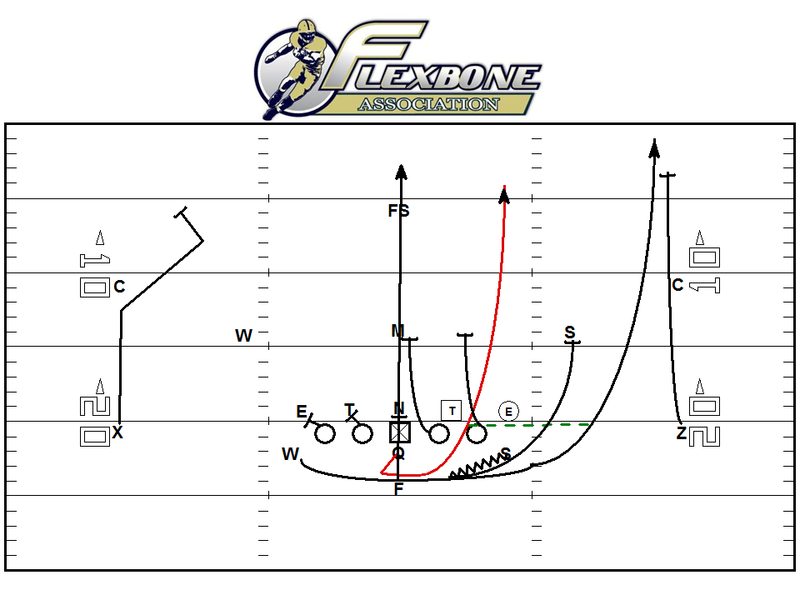 The double eagle has gained popularity presumably as a way to stop triple option. Lining up with 3-techniques does make running triple option more difficult, but there are ways to run triple option against double eagle fronts. You just have to make sure you have the entire package. 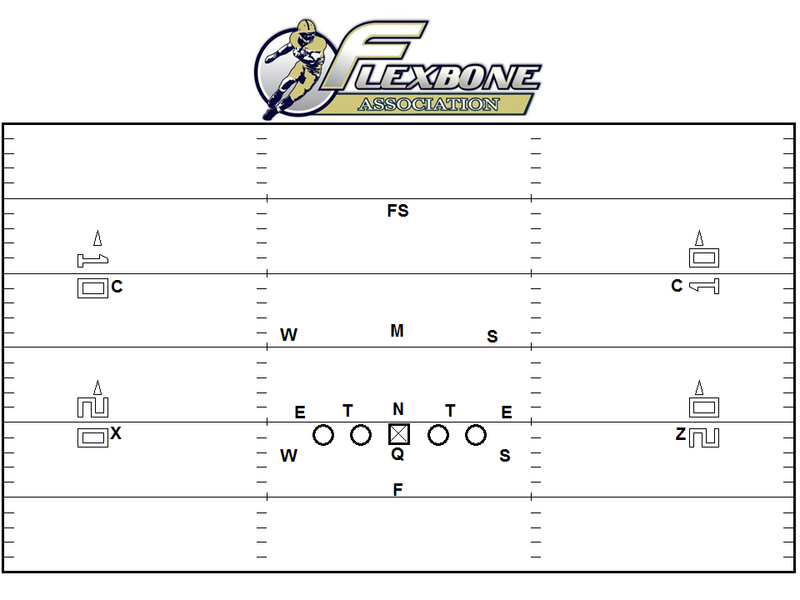 Defensive coaches will run odd fronts, especially stacked fronts or double eagle fronts to protect the Mike-Backer. If you use one inside linebacker rather than two, this is very often the best player on the defense. If this player is your best tackler, it would behoove the defense to do everything they could to be sure he’s unblocked as often as possible. Midline Triple is the best answer against 5-3 double eagle (T-N-T) style defenses. Let’s first look at specifically what we mean when discussing a 5-3 double eagle. This isn’t to say that Midline Triple cannot be run against other fronts, in fact it can be a very effective play/scheme to execute against a 4-3 team, but if you don’t have Midline Triple in you quiver, expect Double Eagle (3-0-3) fronts to be especially difficult to play against. If you have trouble against a certain scheme you will surely see that defense again and again throughout the course of the year until you can prove you can move the ball against it. Defensive coaches will copy looks they see on film that you cannot handle. Be fully prepared against every front you will see next fall. What would you change if this were in a Pistol? How deep is that running back?